People usually refer to a horizontal row on the periodic table as a period, which means that the outermost electrons of the elements on the horizontal rows of the periodic table are circulated from one to eight; the vertical columns of elements are called groups, which means that the elements in the vertical columns with the same number of electrons in the outermost layer have similar properties. Scientists use this method to classify different elements, infer the relevant chemical properties according to the period and group of elements, and study the periodic table to summarize the rules applied in daily life. For example, it is found that Al and Be are amphoteric elements with almost the same properties by the diagonal rule. The period and group of elements on the periodic table are divided according to the atomic structure of the elements. 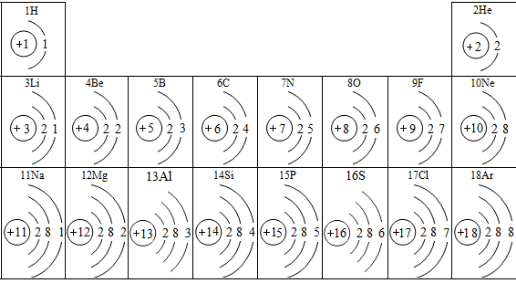 The scientists place the members with the same electron shell number in the same horizontal row as a period (See Figure 1). In order to have an easy understanding, you can imagine the structure of the atoms as the orbital graph of the solar system. The nucleus in the atomic center takes up most of the weight as the "sun", while the extra-nuclear electron layers are equivalent to the Earth, Jupiter, and Saturn just like "stars movement track". According to the distance between the “sun”(nucleus) and “stars”(layer), the first layer can be indicated as K, the remaining second and third layer can be L and M. The elements with the same electron layer number are in the same period, which means the number of electron layers in the same period is the ordinal number of the period. For example, all the elements with the electron layer represented by K can be expressed in the first period. 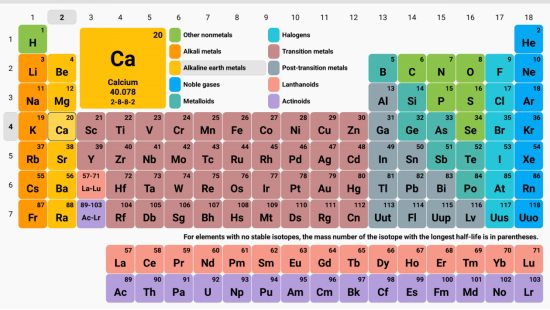 At the same time, the scientist places the elements with the same electrons on the outermost layer in the same vertical column of the periodic table as a group (the Ⅷ group includes three columns). The electron number of the atomic and atomic number are the same. The first layer can put two electrons, the outermost layer can put 8 electrons, and the outer layer can put 18 electrons.When their outermost electrons are identical, they will be in the same group (see Figure 2). In general, the elements of the same group always have similar chemical properties, like the halogen elements, alkaline earth elements and alkali metals.